While the road traffic races along at ground level, the Bigjigs Rail Overhead Station collects waiting passengers wishing to take the train to their destination. 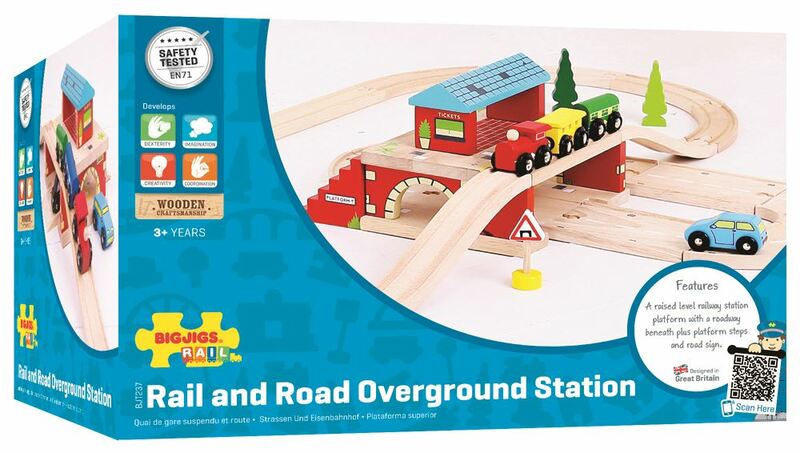 Includes: a station, staircase, signboard, male block, female block and 2 overground tracks. Age 3+ years. Compatible with most other wooden railway brands. Distributed in New Zealand by Holdson.